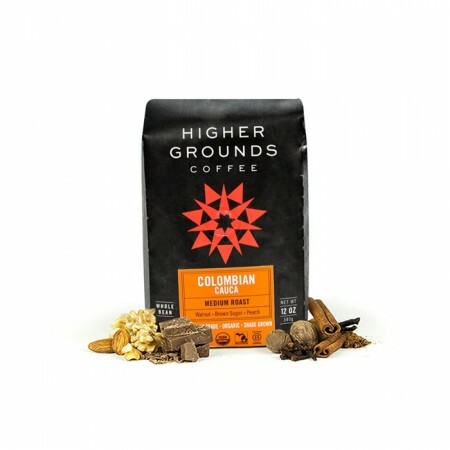 This is the Colombia Cauca brought to you by Higher Grounds. This Fair Trade and Organic certified was fully washed coffee was grown by small holder producers in the Cauca region of Colombia between 1,300 - 1,900 meters above sea level. This medium light roast is is comforting and approachable with notes of brown sugar and walnuts. Really not flavorful and too acidic. It is smooth with a full flavor but not bitter. Just nailed it for me. I'm quite happy with this bean and roast. It has a great flavor. Very much liked this coffee. Great mouth feel as well as bold flavor for a light roast.